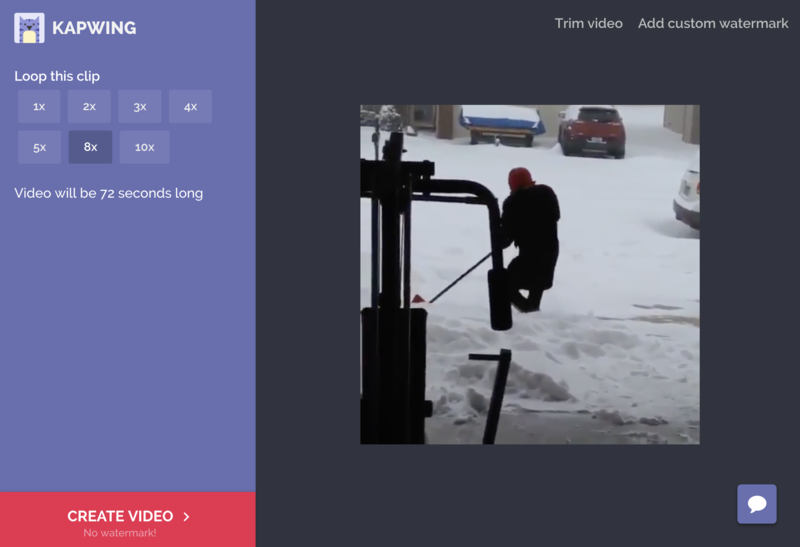 Cinemagraphs are looping GIFs or video clips that replays a small action or animation. Somewhere between a photo and a video, cinemagraphs seem to loop infinitely and draw focus to a small details by contrasting still and moving subjects. In this post, I’ll explain how to make your own cinemagraph using free, simple tools and techniques. Cinemagraphs are somewhere between a photo and a video. One part of the video appears to move while the other sections remain still. The defining characteristic of a cinemagraph is that the start and ending frame are the same. To achieve this effect, plan a scene that has limited or constrained action. Make sure that your subjects return to their starting point. Film multiple times so that you have several takes to choose from. Once you’ve chosen the best clip, trim out a small section of your video (1-3 second clip) where the start and end frame are nearly identical. If you don’t have the time or ability to film your own repeating scene, you can look on YouTube or Giphy to find a replayable moment. Like images, you can apply simple post-production edits to your short cinemagraph clip: resize, filters, watermarks ,etc. Once you’re happy with how your clip looks, use a looping tool to make the video play on repeat. Kapwing’s free online Looper supports videos and GIFs and allows you to import by pasting a URL. You can also add a custom watermark or trim your video directly from this Looper. Once you download your looped MP4, you can publish it and share it across platforms like Instagram, Tumblr, and your website. To share over email or in a document, you’ll need to convert the video back into a GIF. Thanks for reading! I hope this helps aspiring photographers make cinemagraphs of their own. As always, feel free to reach out over Twitter, email, or in the comments section with your thoughts, ideas, and questions.